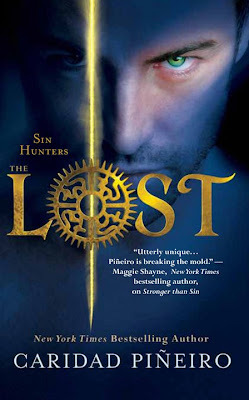 It's my pleasure to introduce Caridad Piñeiro, a New York Times Bestselling Author and the author of The Lost and god knows how many other books ( it's pretty impressive booklist people! ) to For The Love of Reading! where we love paranormal romance, and getting to talk about "The Lost", a paranormal romance of a whole new kind - well it’s just super! 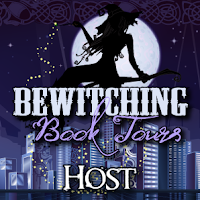 Before we get going with the interview I'd like to mention that Ms. Piñeiro and Bewitching Book Tours is allowing me to raffle off two great Giveaways! The International: "Rookie of the Year" E-book & US only: "The Lost" T-Shirt! Niina : Welcome to Caridad Piñeiro, author of “The Lost” to For The Love of Reading! and thank you for stopping by and chatting with us! Caridad Piñeiro : Thank you so much for having me here! It’s very exciting to be able to visit with you and your readers. Niina : The Lost came out in print in August 2011, can you tell us a little about it and few fun facts about yourself, so we can get to know you a little? Caridad : Well, I’ve been published for about twelve years now and I love to write paranormal romance and romantic suspense. My favorite heroes and heroines are strong, but tortured. Why tortured? Because it’s great to be able to finally give them a happily-ever-after. Niina : What made you make Adam Bruno a millionaire? Caridad : I wanted to show that he was very driven and successful at what he did. I also wanted him to have cool gadgets to test his powers and an awesome home on the Jersey Shore. To do that, he had to have some money, but his being a millionaire really doesn’t play much of a role in the story. Niina : And the feisty Bobbie, why did she end up a Iraq war-veteran? Caridad : I wanted to honor our military men, women and their families so I wanted to the kinds of sacrifices they make and how hard it may be to come home. I made the military hero female because there are women in combat situations and I wanted to show that and the sacrifice some of them are called upon to make. Niina : What gave/mused you the idea for Light and Shadow Hunters? Caridad : I love history and had read all about the conquest of the Americas by the Conquistadors. The history of the Hunters is loosely based on what happened to the native people when the Spaniards brought illnesses to which they had no immunity. I wanted to also have different kinds of Hunters because there had to be conflict between them in the future and so I created two factions of Hunters, Light and Shadow, each with different abilities to gather energy. Niina : Which character in your book became your favorite? Caridad : Without a doubt it was Bobbie Carrera. She was strong, honorable, compassionate, loving and loyal. But she also had lots of issues which she had to overcome and I loved helping her solve those issues so that she can find happiness. Niina : Now little on how you write… How do you write, chapter here and there or follow from beginning to an end? Caridad : I write the first three chapters and then go back and go over them again. Once I think those three chapters are a solid foundation for the story, I write all the way to the end. Then I set the book aside for a few weeks before going through it again to do revisions to get to a final draft. Niina : What chapter did you most enjoyed writing and why? Caridad : Wow, that’s a tough one. I think the next to last chapter. I love the happily-ever-after and this one is very very happy for a variety of reasons. Niina : What's the best part about being an author? And what’s the worst? Caridad : The best part is being able to create all kinds of fun stories and characters to share with readers. The worst part is still having a full time job and not having enough time to write as much as I would like. Niina : What would you say is your most interesting writing quirk? Caridad : I watch television as I write and I don’t sit at my desk. I love to curl up on my couch beneath my blanket to write. Niina : How many jobs did you have before you became a writer? What was your first job? Caridad : I still have my day job! I’m an attorney in New York City. Niina : Now for its time for some fun! If you could only read 5 Romance books for the rest of your life what would they be, and why? Caridad : WOLF AND THE DOVE, SHANNA, any of the IN DEATH series books (reading FROM NEW YORK TO DALLAS right now), GOD IS AN ENGLISHMAN and WUTHERING HEIGHTS. Caridad : That’s a tough one. My TBR pile is huge right now and I’ve been focusing on catching up on the IN DEATH series, so I’ve got bad boy Roarke on the brain. Niina : I love that series! How about if your book were made into a movie who would you cast as the leads? Caridad : For Bobbie probably Evangeline Lilly. Adam is a tougher call. Maybe Chris Hemsworth from THOR. Niina : Now, currently, who is your “book boyfriend”? Niina : Oh Roarke, yum, he's one of my favourites as well. ;) Now, can you tell us five fun/quirky things about Adam that we didn't learn from the book? Caridad : He loves to cook and fly. He is ticklish. He was afraid to meet Bobbie’s parents for the first time. His favorite sport is surfing. Niina : If we could ask Adam Bruno what has been the single most outrageous night out for him, what would he answer? Caridad / Adam : Fighting off the bad guys with Bobbie at his side. Dark chocolate or milk chocolate? Milk chocolate. Niina : Thanks for visiting the For The Love of Reading! Caridad, it was fun to have you come by! Caridad : Thank you for letting me drop by and for such awesome questions. Caridad Piñeiro® is a multi-published and award-winning author whose love of the written word developed when her fifth grade teacher assigned a project – to write a book that would be placed in a class lending library. She has been hooked on writing ever since. 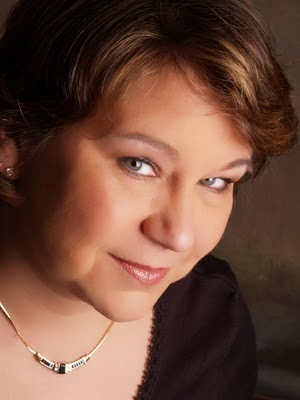 In 2009, Caridad will debut a new paranormal romantic suspense series with Grand Central Publishing. The first novel in the series, SINS OF THE FLESH, will be released in November 2009. When not writing, Caridad teaches workshops on various topics related to writing and heads a writing group. Caridad is also an attorney, wife and mother. Enter to win Rookie of The Year with Rafflecopter! Rookie of the Year e-book is International! 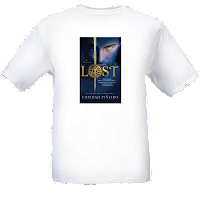 If you wish to enter for the US Only "The Lost" T-shirt Giveaway comment on this entry with your email address included. Now follow the Read More link below to get to the Rafflecopter Widget!